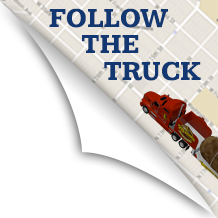 PASADENA – Driving north on Pasadena Avenue, it was impossible not to notice the giant fork in the road looked like it was digging into the giant potato behind it. 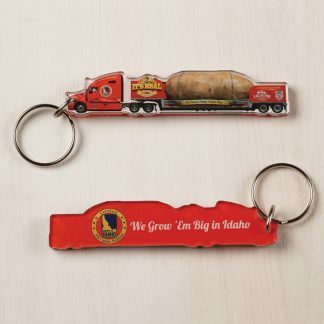 The big spud, on a flatbed trailer hauled by a big rig, visited Pasadena on Tuesday as part of a national tour sponsored by the Idaho Potato Commission. 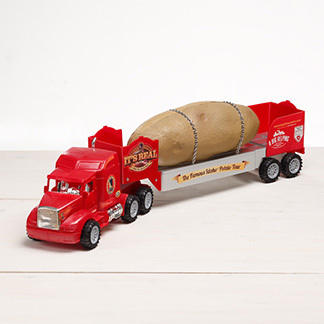 The potato is 28 feet long and 11.5 feet high, made of a steel frame and concrete coating, a perfect pairing for the 18-foot fork sculpture, a piece of guerrilla art first installed in 2009. The potato and fork even have food-related charities in common. 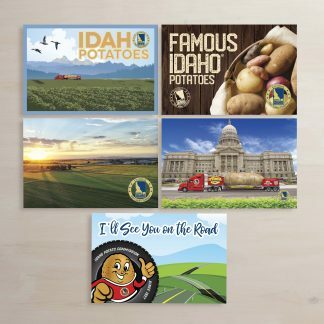 The potato is promoting Meals on Wheels during its tour, while the Fork in the Road Gang saw the visit as an opportunity to promote its annual food drive on Nov. 10-11.